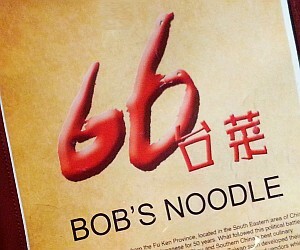 The Bob's Noodle 66 Restaurant offers Taiwanese cuisine at 316 N. Washington St., Rockville, MD 20850. No credit cards are accepted, but you can get cash at an ATM machine at the entrance of the restaurant. The restaurant is open every day from 11 AM to 10 PM. It closes at 11 PM on Friday and Saturday. There is plenty of parking space. Taiwanese cuisine originates from the Fu Ken Province in southeastern China. Seafood features prominently in many of the dishes because Taiwan is an island. 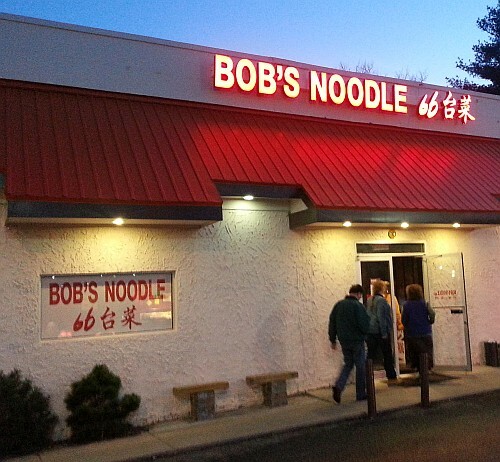 The menu has a great variety of specialty dishes that are not found in a typical Chinese restaurant. There is a tank with live lobsters in the main dining room. The restaurant is unpretentious with contemporary furniture. The staff is cordial and willing to explain the dishes available on the menu. Tea is brought to your table while you wait for your entrée. 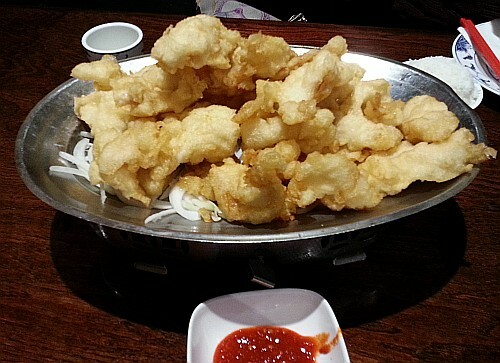 The fried flounder was excellent -- very fresh fish covered with a crispy golden batter accompanied by a small bowl of rice. 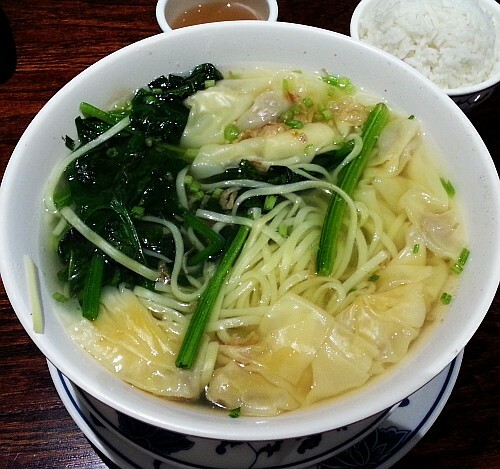 The wonton noodle soup was well seasoned and satisfying. The freshly made noodles have a nice chewy texture. The soup is served with a small bowl of rice.